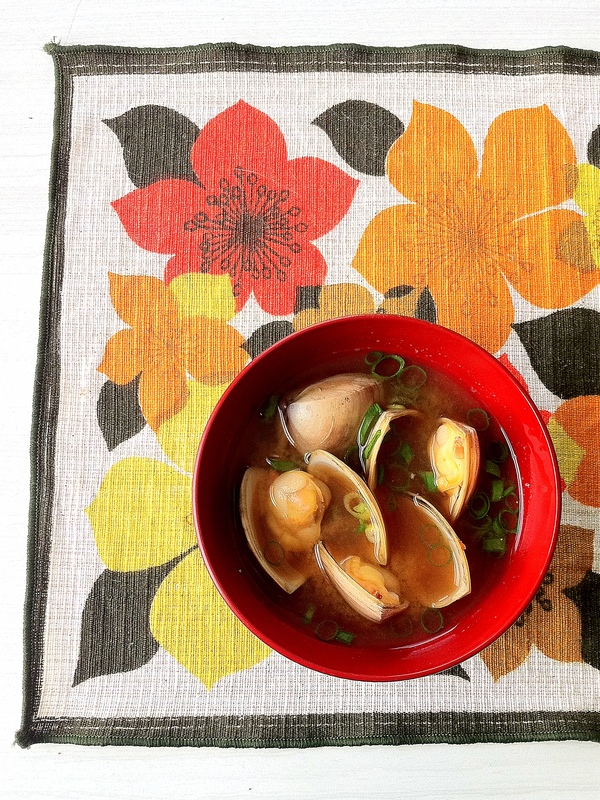 If you like clams, and you like miso soup, I urge you to make this as soon as possible. In fact, even if you think you don’t like clams, but you like miso soup, I reckon you should at least give this a try. When I lived in Japan ten years ago (! showing my age) I was, at first, the pickiest teenager alive. I didn’t eat fish, eggs, potatoes, pretty much any vegetable except carrots and lettuce. But slowly, things changed, and by the end of my year there I ate nearly everything. And what brought me around to clams was the time, one morning, my host mother served a bowl of clam miso soup with breakfast. I was at first wary, then delighted: an instant convert. Now it’s one of my favourite ways to have miso soup. It’ s a very basic recipe – just three or four ingredients – but the result is both light and rich, deeply savoury and complex. 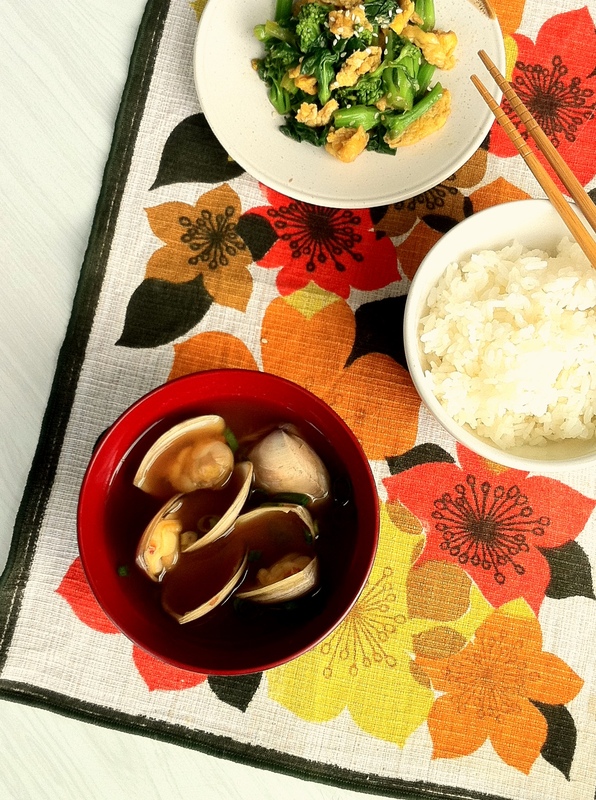 It makes sense: clams (packed with umami) plus miso (also packed with umami). Umami plus umami equals very delicious. Incredibly satisfying. Salty, meaty, but not too intense. Normally, the key to a good miso soup is a good dashi base, made from dried fish and/or kombu. 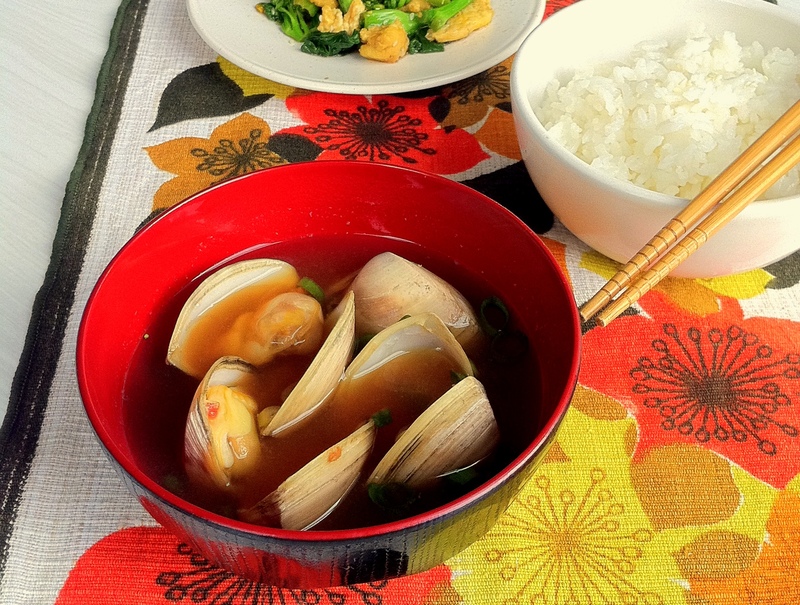 But because the clams are so packed with flavour, you can get away without making a dashi for this one. (I prefer to make a light, kombu-based dashi beforehand, but it’s entirely optional). Slowly bring kombu and water to a boil over medium heat, let simmer a few minutes, remove kombu (this step is optional if you don’t have kombu). Add clams and simmer until they all open up. 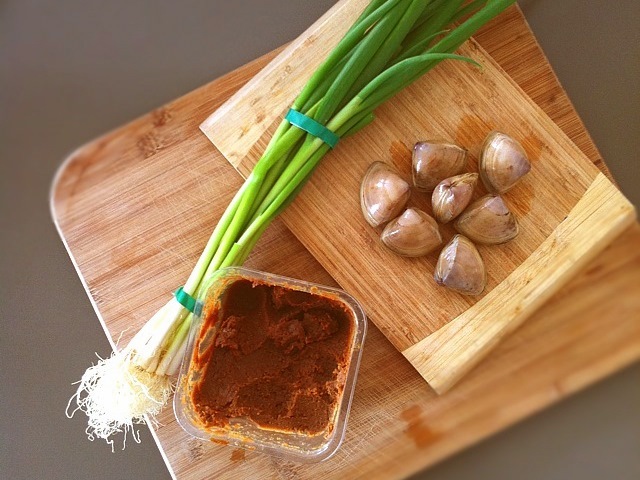 Remove from heat and stir in miso. Add spring onions. That’s about it. I like to leave it on a low heat for a little while for the flavours to meld, but don’t let it boil again once you add the miso. ps. somewhat but not entirely coincidentally, in a few days I’m off to Japan for a month or so and will hopefully eat plenty of clam miso soup while I’m over there. If you’d like to follow my adventures I’ll be writing a travel blog of sorts at strangersandnoodles.wordpress.com.